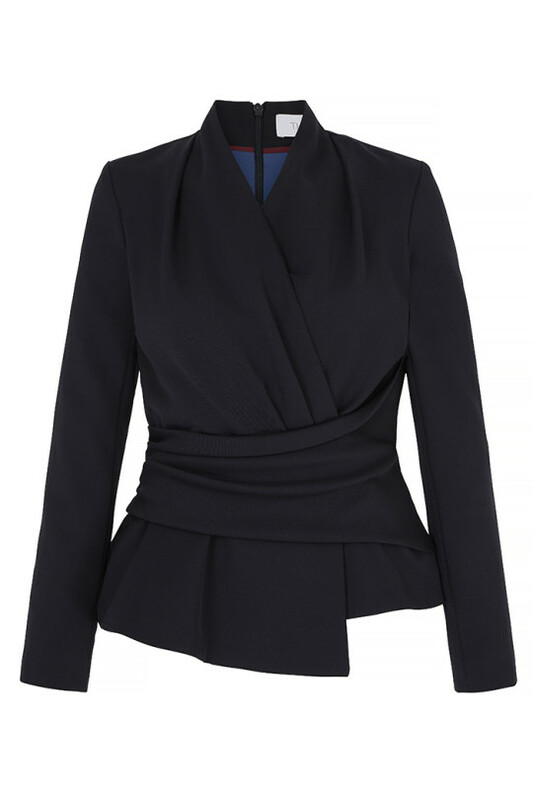 A modern silhouette and three-dimensional jacquard comes together in this standout top. 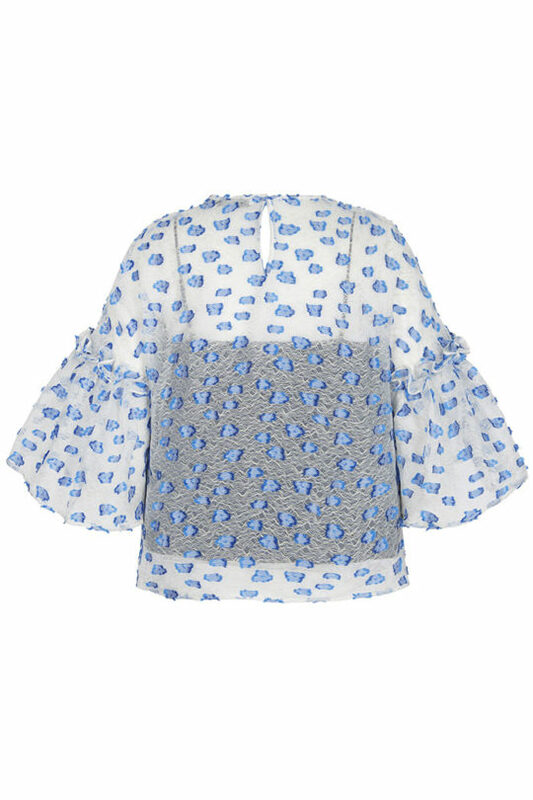 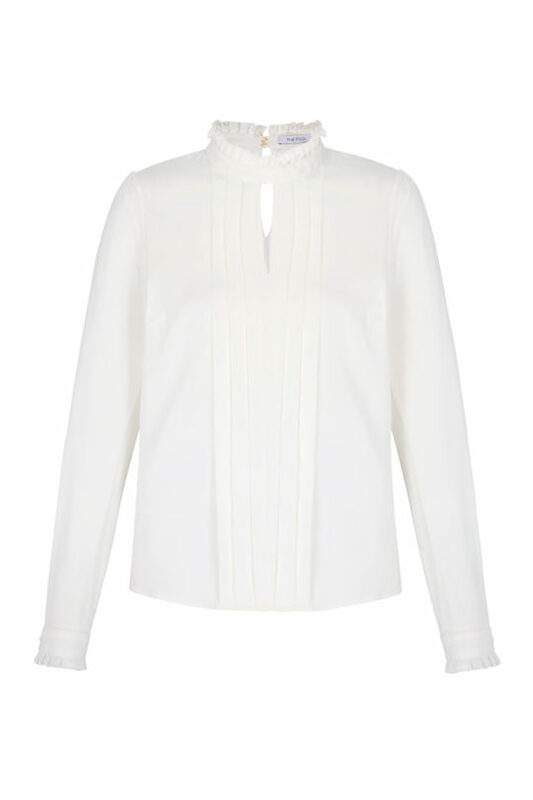 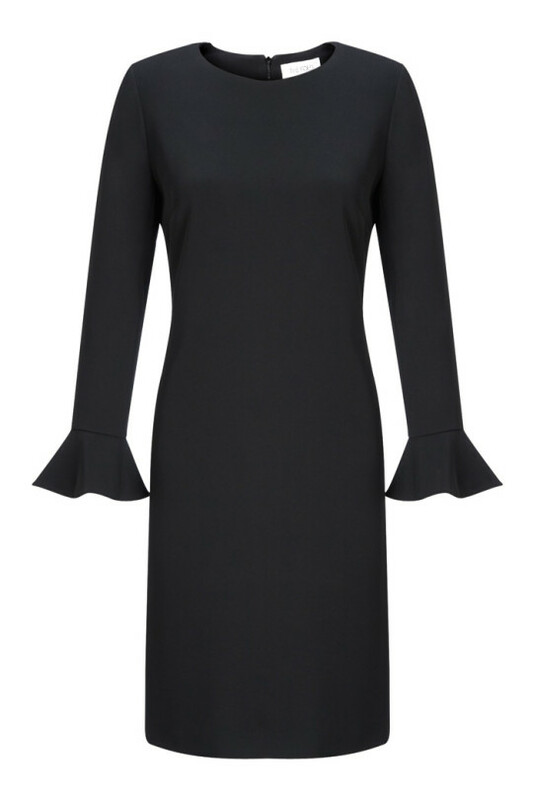 The Dansdale top has several tricks up its ruffled, bell sleeves. 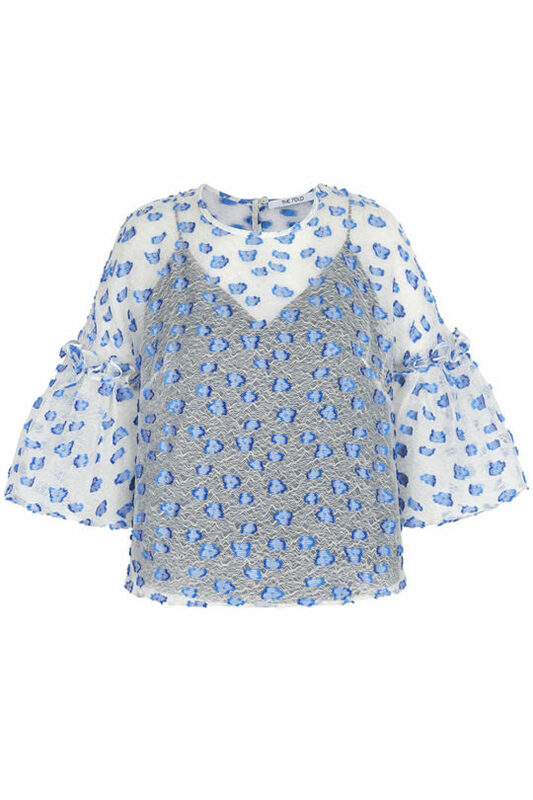 With a relaxed silhouette, it is exquisitely crafted from three-dimensional Italian jacquard organza with abstract floral motifs in shades of blue. 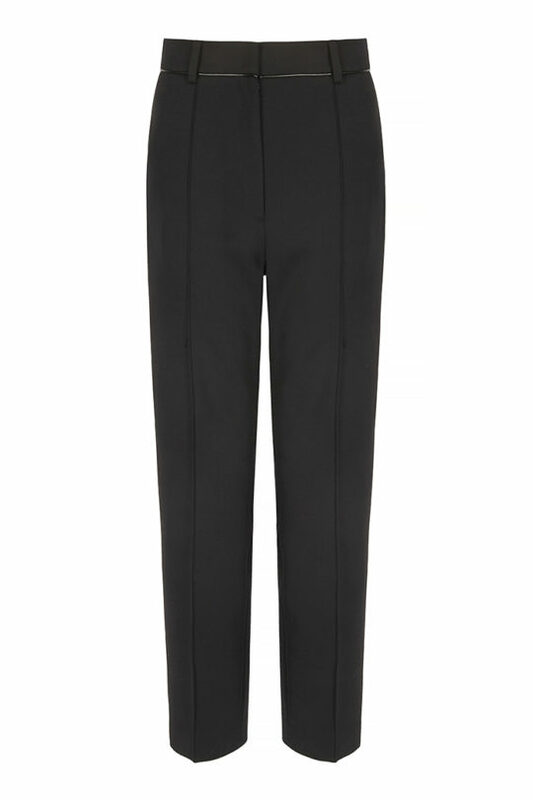 It is lined with a navy satin cami and has a keyhole opening at the back. 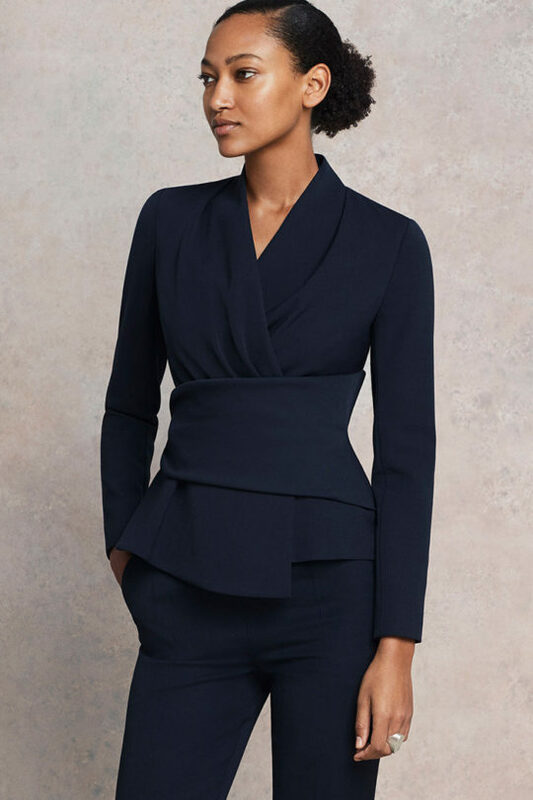 The cropped style can be worn with high-waisted trousers or the coordinating Orleston skirt for a statement-making finish. 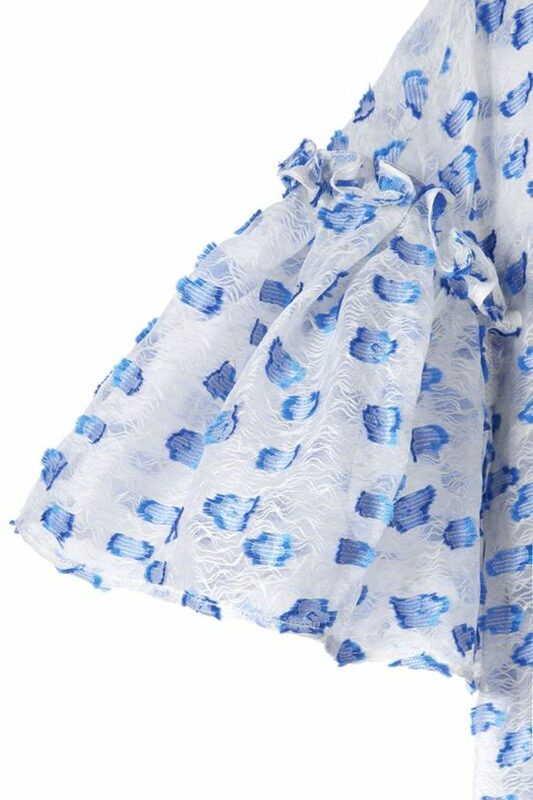 Styled here with the Orleston Skirt Ivory And Blue Organza Jacquard.